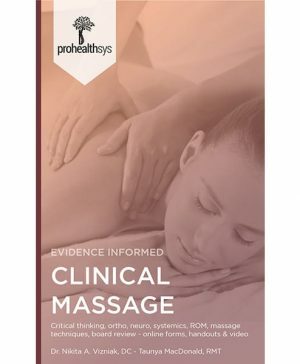 These ebooks are available at the tips of your fingers, 24/7! 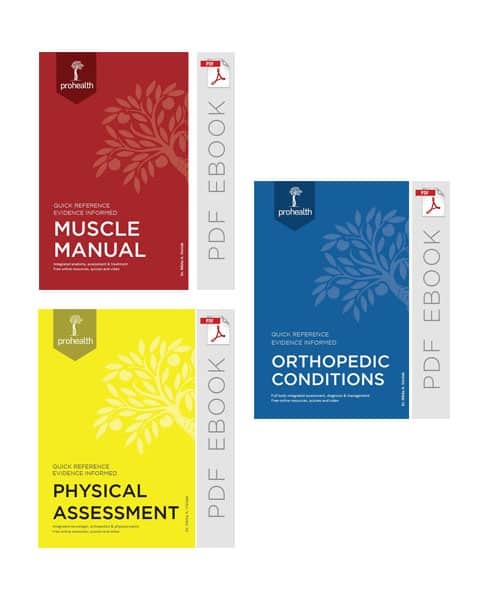 This awesome 3-pack bundles the popular textbooks, Muscle Manual, Orthopedic Conditions and Physical Assessment. 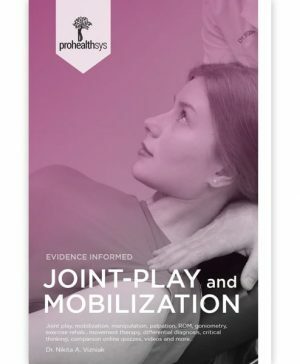 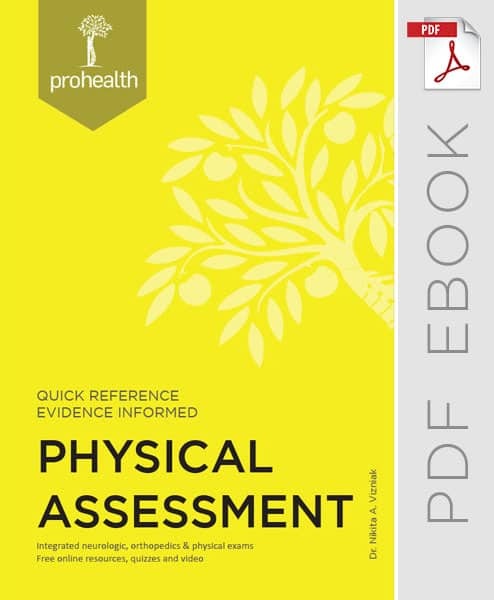 These evidence-based ebooks include practical and up-to-date information, hundreds of supporting images, and references to key online videos. 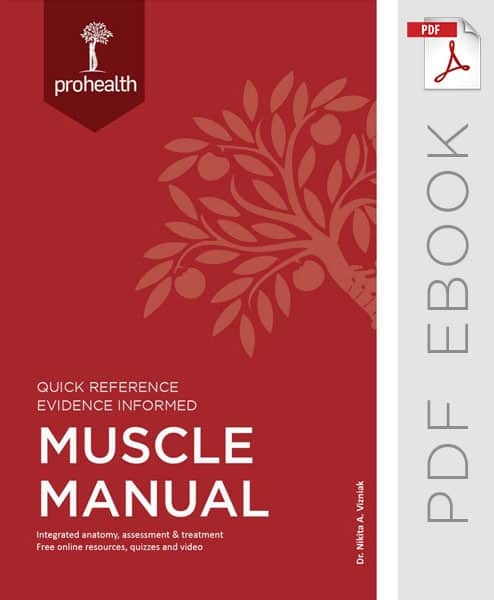 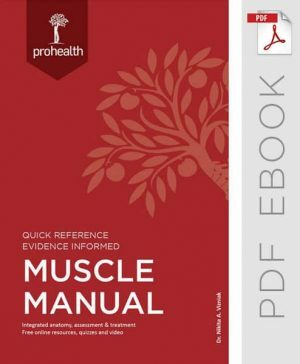 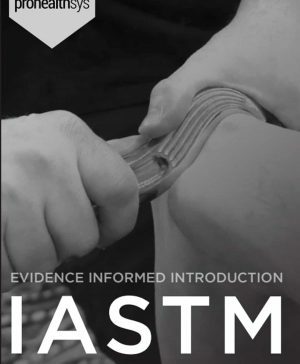 The Muscle Manual is the best multidisciplinary musculoskeletal guide available for students, clinicians and instructors. 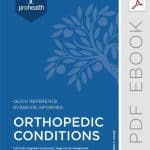 The Evidence Informed Orthopedic Conditions Manual is among the best reference guide for manual medicine students, practitioners & instructors. This text integrates body wide common conditions and multidisciplinary treatment options including demographics and assessment, massage, mobilizations, electrotherapy, acupuncture, diet & botanicals, medications, surgery, rehabilitation, prevention, prognosis and clinic forms - click here to view the book's index. 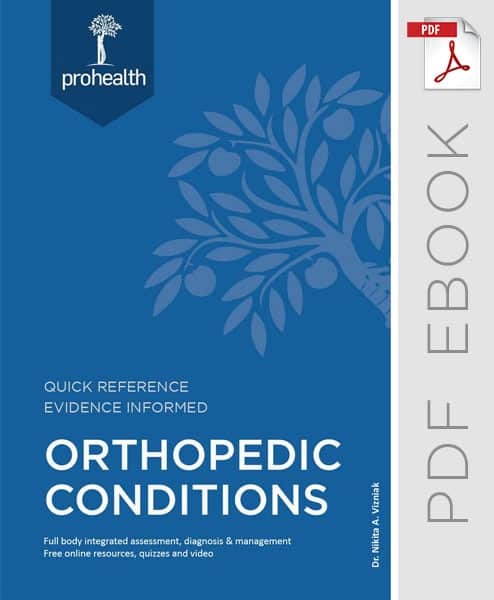 In addition, this text is a valuable study guide for students and practitioners preparing for OSCE exams, Provincial Board Exams, State Board Exams and National Clinical Skills Examinations. 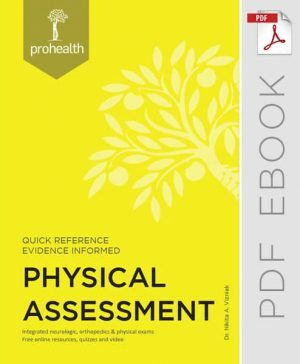 Use it in the classroom and in practice. 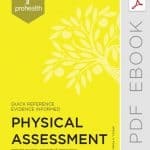 The Evidence Informed Physical Assessment Manual is among the best clinical exam manuals available. 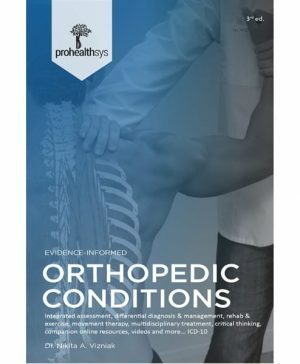 This book contains concise, easily accessible information on topics including history, charts & record keeping, physical exam, ROM & Goniometry, orthopedic and special tests, neurologic exam, biomechanics, myology, diagnostic imaging and much more. 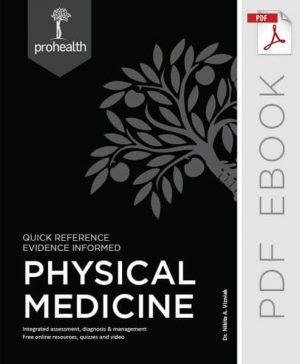 In addition, this text is a valuable study guide for students, practitioners and doctors preparing for National Board Exams, State/Province Board Exams, Clinical Skills Examinations and many other standardized license examinations. 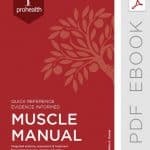 Use in the classroom and in practice.